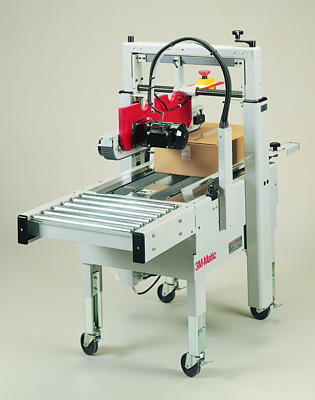 Integrated with the 3M-Matic Corner Label Applicator CA2000R or CA2000L, these units provide positive case conveyance and edge guidance for printing. For use without a case sealer or for low-height cases (4 inch to 6 inch). Enhance the communications value of every case with messages, bar codes, and graphics created in line with your case sealing operation. Print and apply sealing tape or corner labels for logistics management, merchandising, security, and more.